Hallstatt, Austria is a UNESCO World Heritage site and an inspiration for Chinese developers. Photo by Roy Mesler. 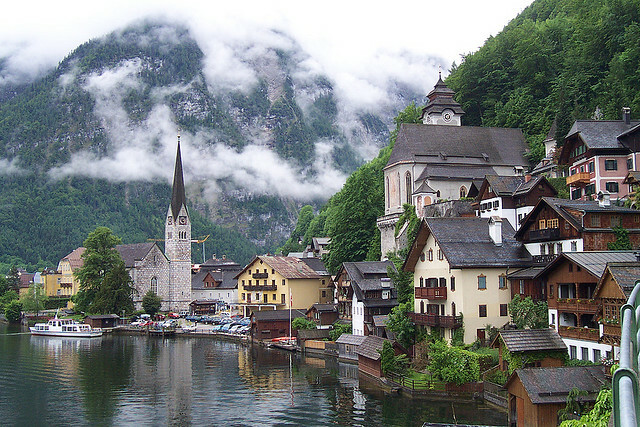 A Chinese real estate firm, Minmetals Land Ltd., is planning to build a copycat version of the picturesque village of Hallstatt, Austria in Guangdong province in Southern China. The real Halstatt is a UNESCO World Heritage site in the center of Austria, in the Salzkammergut region, with only 900 residents. Tourism comprises a major portion of the economy, with 800,000 tourists coming through the village and millions of tourist dollars spent there every year. But not everyone in Halstatt sees imitation as flattery. Some residents of the small Austrian village are unhappy that their homes and shops will be cloned and replicated in another part of the world, especially without their knowledge and permission. Despite the discomfort of some of the residents, Halstatt’s mayor offers a more optimistic outlook. “The people are not very amused that this has happened behind their backs,” Mayor Scheutz told the German news agency DPA. “I think it could be a tourism motor,” he later added, hoping that those who have seen the copied village in China will want to visit the original, as well. Architects are planning to copy more than the style of the buildings or the layout of the city. The entire village, including the lake that shares its name and the old church, will have a Chinese replica. Although legal action has not been taken, “creating an exact duplicate of a city may not be legal, according to Hans-Jörg Kaiser from Icomos Austria, the national board for monument preservation under UNESCO,” Spiegel Magazine reports. “Building new structures based on photographs is legal, [Kaiser] explained, but owners must give their permission for them to be measured,” the article continues. Apparently, this is not the first time China has used historical European towns as inspiration. The Chengdu British Town that was built in 2005 in Southwest China is modeled after Dorchester, England. And that’s not even the beginning: Foreign Policy also reports that Shanghai has mini-replicas of Barcelona and Venice. The picturesque view of Hallstatt at dusk. Photo by Bogdan Zaharie. According to The Infrastructurist, the Hallstatt copy is yet another example of China’s ghost towns. Analyzing satellite images of China’s newly built village, Business Insider reveals that, although China consumes more steel, iron and cement than any other industrial nation in history, the railways, roads and cities those materials construct will serve a very small, privileged part of the population, if anyone at all. “It’s like walking into a forest of skyscrapers, but they’re all empty,” said Gillem Tulloch, managing director of Forensic Asia, a company that writes independent research on listed Asian companies. According to The Transportationist, the best time to use satellite images to analyze social activity is at night. Eric Jaffe of The Infrastructurist concurs: “A pair of economists recently found that you can arrive at a decent estimate of economic activity by measuring a city’s luminosity—the brightness of its street lights—via satellite,” he says. The images are especially useful for areas with unknown or underreported GDP, especially in developing nations. So what do these satellite images reveal about China’s ghost towns? Although the model has not been widely applied yet, with previous villages built to the capacity of 20,000 residents, we can only hope that the US $9 billion Hallstatt copy will serve more than a niche group of people. 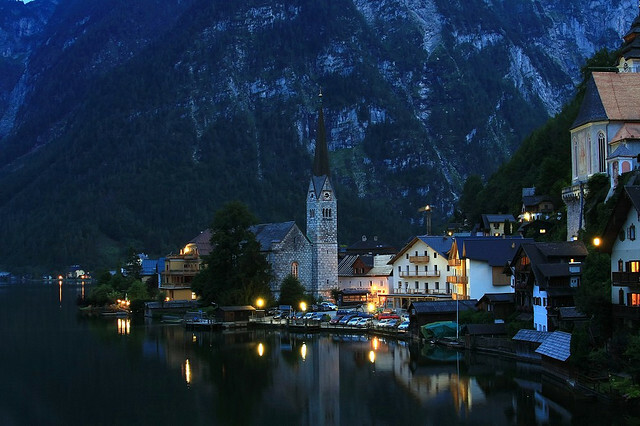 To see the copycat village of Hallstatt, check out these images from The Washington Post. What do you think? Is this ethical? Is it innovative? Is it a failure-in-the-making? What are the implications for sustainable urban mobility?